Paint the Greek Islands With Us in 2019! charming harbor, Santorini for its cliff-topped villages above the Aegean, copious shopping, and iconic views; and come to Amorgos, an undiscovered gem, to enjoy this simple, lost-to-time island. Imagine visiting the world-famous Greek Islands with an insider-guide leading the way. And not from the distance of a cruise ship or passenger bus, but at eye level and with a small group of friends. 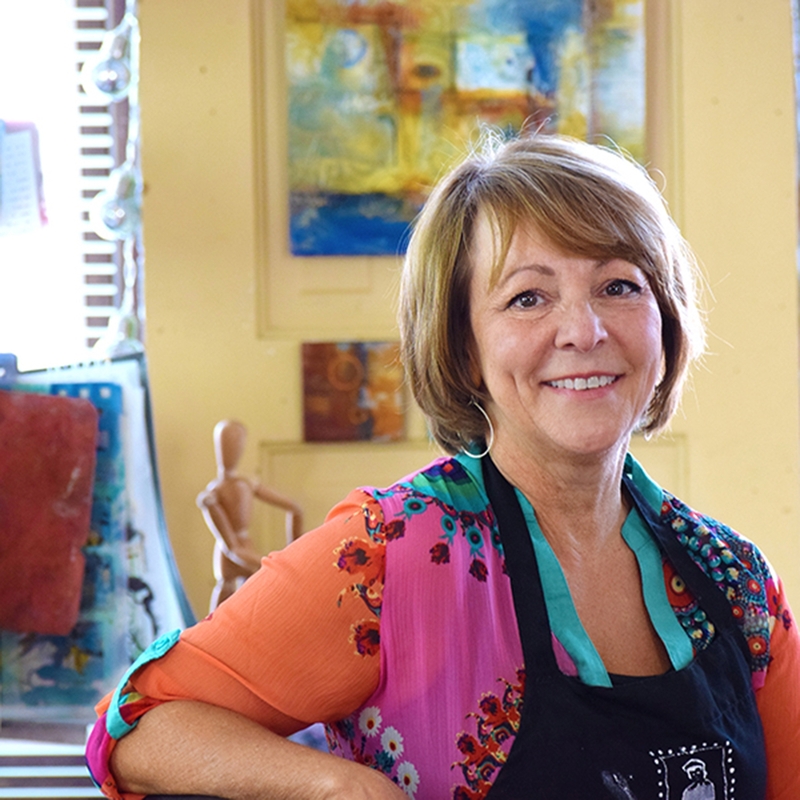 Then add Mary Beth Shaw’s travel art program of mixed media painting and collage classes in this picture-perfect scene. Become immersed in the sensory experience of travel. 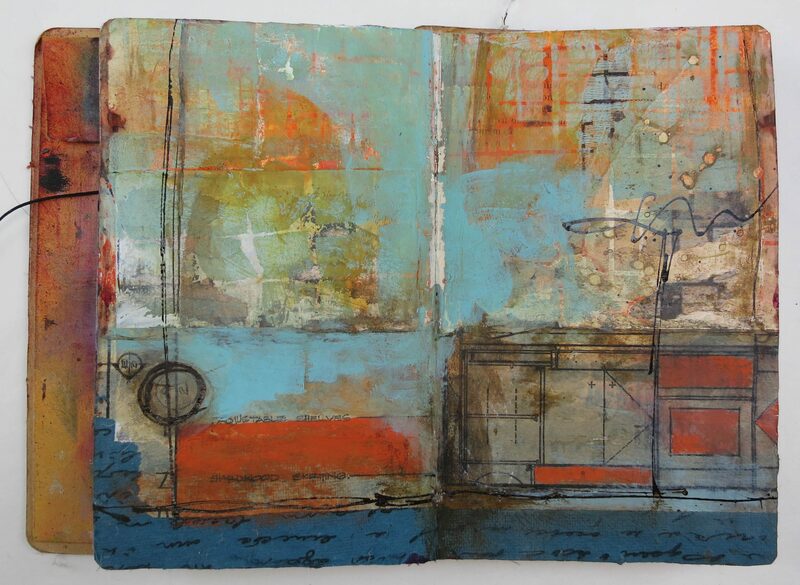 A journey where we wander and wonder through the islands, gathering materials for our art journals along the way. Feel the wind, water and sun. Taste the spices. Dance to the music. Share a laugh with our Greek hosts, and know you are welcome. This is ArtWalk Greece. Painting in the shadow of the Acropolis, sketching one of the hundreds of little churches that dot the islands, capturing the winding, white-washed streets. …. 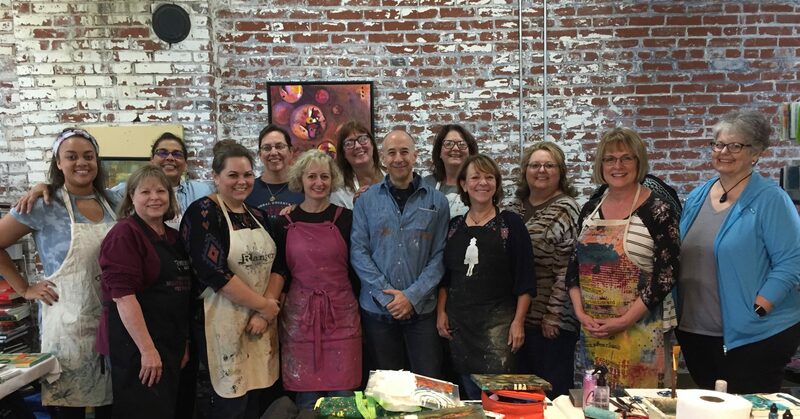 there are so many beautiful opportunities to see, paint, and experience on our ArtWalk Greece program! 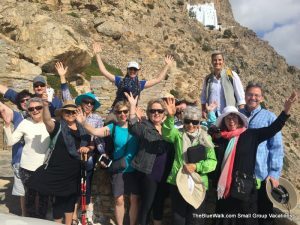 ArtWalk Greece begins with a night at our favorite Athens hotel, and an orientation walk around the Plaka and Monastiraki areas to explore this historic and vibrant city. 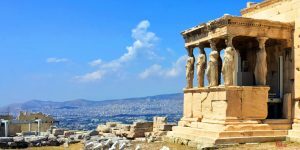 There’s time to visit the Acropolis and/or the new Acropolis museum. The next morning, we’ll see the changing of the guards before our transfer to the ferry to Amorgos. Upon arrival, our rooms await us at our beautiful resort and spa hotel. Each room features a private balcony overlooking the Aegean Sea. 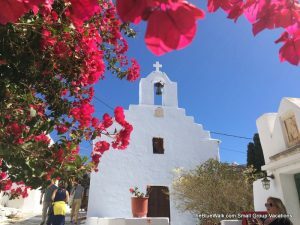 Amorgos is an undiscovered gem with peaceful little towns spilling down the mountains, an 11th century monastery built into the side of a cliff and has 2,000 residents, 370 churches and 25,000 goats. Join us for art classes on the hotel’s terrace overlooking the sea. We’ll have simple morning walks, and tours of the island including the monastery and an herbal distillery that makes essential oils – one of the island’s main exports. You can wander the quaint towns, walk to the beaches, and/or relax at the hotel, enjoying their complimentary salt-water pools, sauna, steam room, jacuzzi and gym. Or, treat yourself to the full range of spa services. After Amorgos, we travel to the island of Naxos for two nights at our lovely hotel by the beach. We’ll tour the historic center, visit the Temple of Apollo, and you’ll have time for an optional visit to the distillery in the center of the island (the other kind of distillery!) Naxos has a lovely harbor and vibrant local scene. Its historic center is filled with artisans and charming shops. The beaches offer many options also including kayaking, sunbathing, and horseback rides. 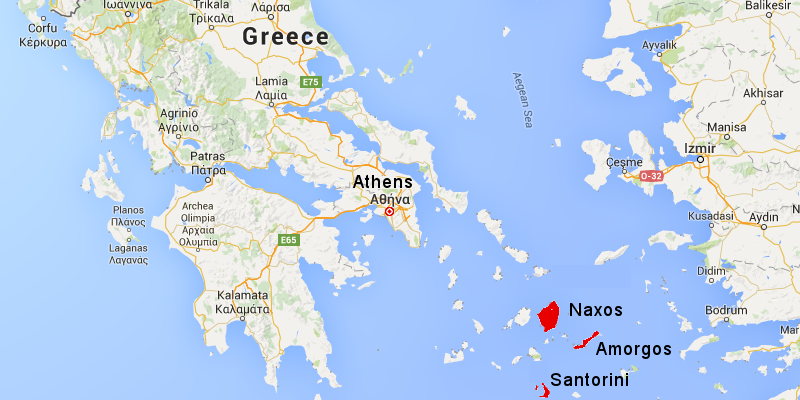 From Naxos, we ferry to the sparkling island of Santorini. If your vision of Greece includes whitewashed buildings adorned with graceful blue domes, nestled atop sheer cliffs, and overlooking the bluest blue of the Aegean – you have dreamed of Santorini. Famous for remarkable views, sunsets over its flooded caldera, and world class restaurants and galleries, Santorini has a unique and stunning beauty. Family-owned hotel restaurant features organic produce from their gardens. ArtWalk Greece: Where In The World? ArtWalk Greece begins in Athens and spends most of our time island hopping through the Cyclades. The Cyclades is a group of Greek islands, southeast of the mainland in the Aegean Sea. A perfect place for a walking vacation, the islands are known for their beaches, ancient sites, rugged landscapes and traditional blue-and-white stucco towns overlooking the sea.